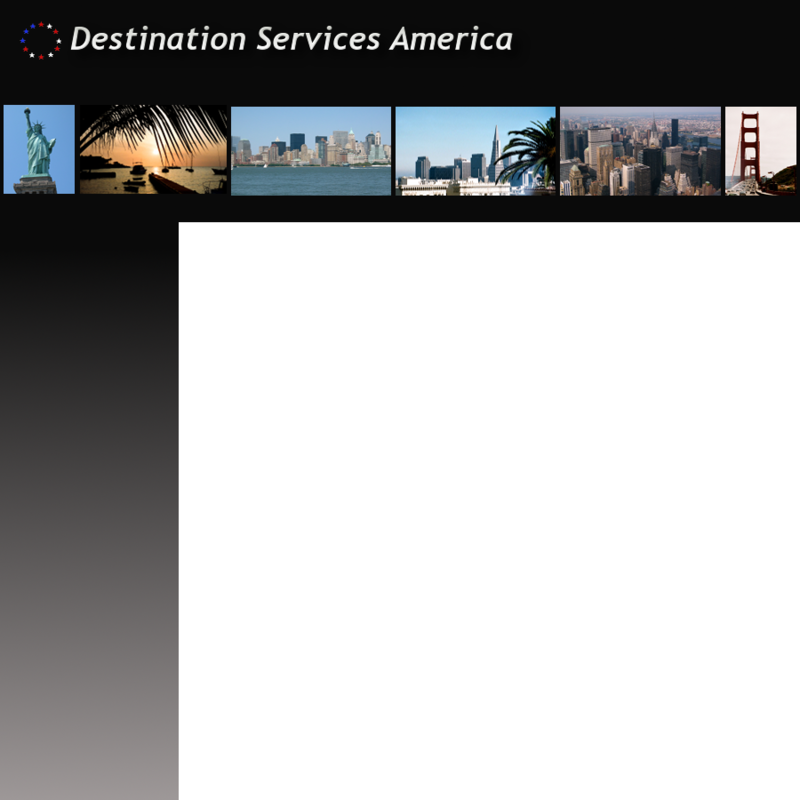 WELCOME TO DESTINATION SERVICES AMERICA! niche in the sector of incentive & convention management is to provide exceedingly personalized, focused, creative and dependable service with an absolute emphasis on constant client - communication, quality and precision at all stages of the planning & operation process. DSA operates projects across the U.S. conducting events in venues ranging from beaches to concert halls. Priding itself on creative & independent thought and offering transparency, irrespectively of budget size.